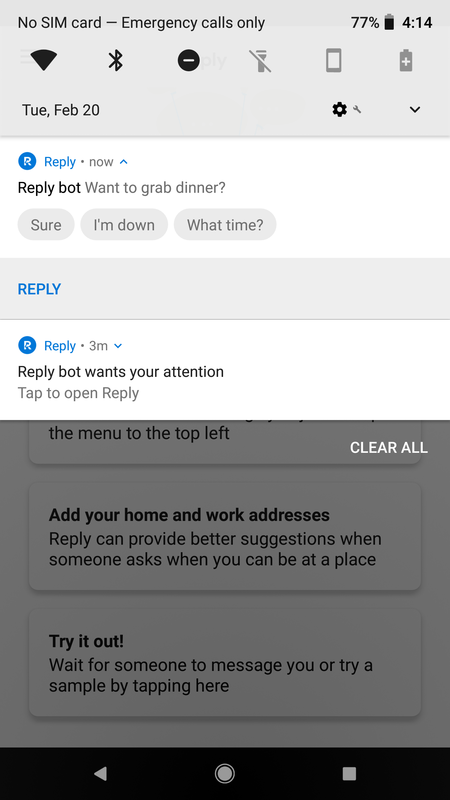 Around a week ago we heard that Google was going to test a new app called Reply, which allegedly ports Allo's Smart Reply functionality over to a wider number of apps. Looks like the test has started rolling out, and we've gotten our hands on the APK. 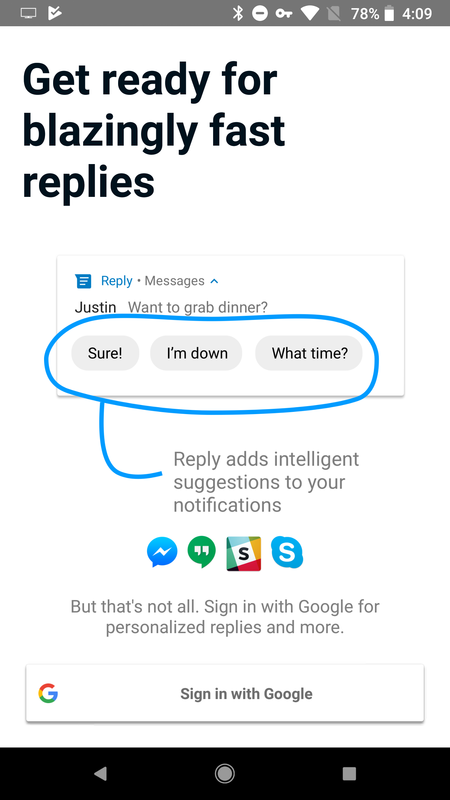 So far, Reply seems to fulfill its promises: you get mostly-apt automated response shortcuts in message notifications. 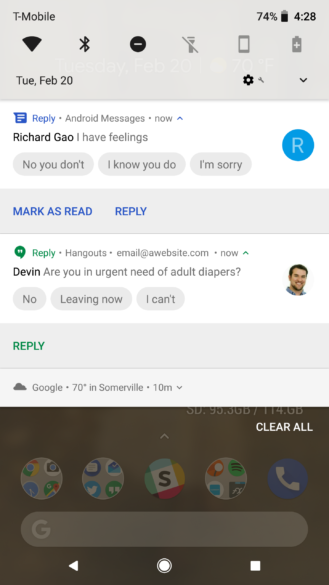 Google only just started closed beta testing for Reply today, but we managed to get our hands on a leaked build. And so far it (mostly) works pretty well, but it does have a pretty funny habit of providing burn-worthy responses. Gallery demonstrating each step of the setup process. The setup process for the app is long but straightforward. 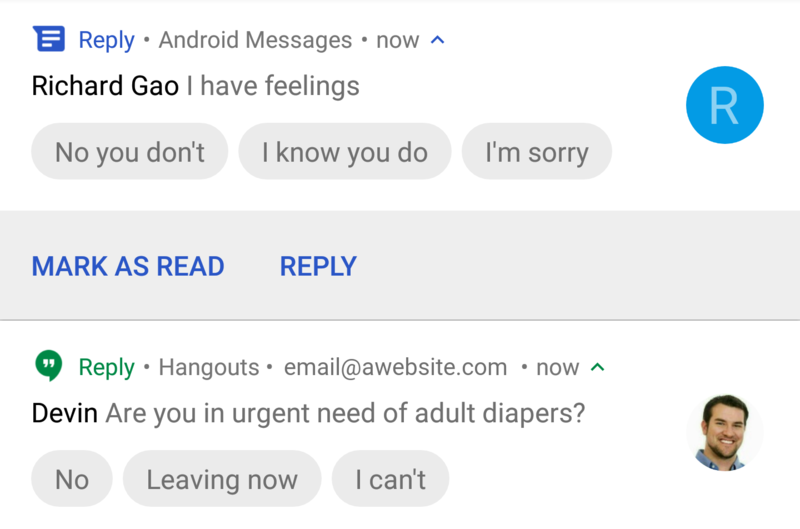 Once it's installed and launched, you can choose to link it to your Google account, presumably to increase the intelligence and personalization behind the automated responses it provides. Then it requests access to your notifications/location and gives you a few options for further customization like fully automated responses in certain circumstances. Once it's all set up, you'll notice bubbles containing potential automated response options in your messaging notifications. I tested it with Twitter DMs, Android Messages, and Hangouts, but from what we can tell it should work with most major messaging apps that support replying via a notification. We're still not sure about exactly which apps are and aren't supported, though. Reply can also deliver some pretty sick burns. 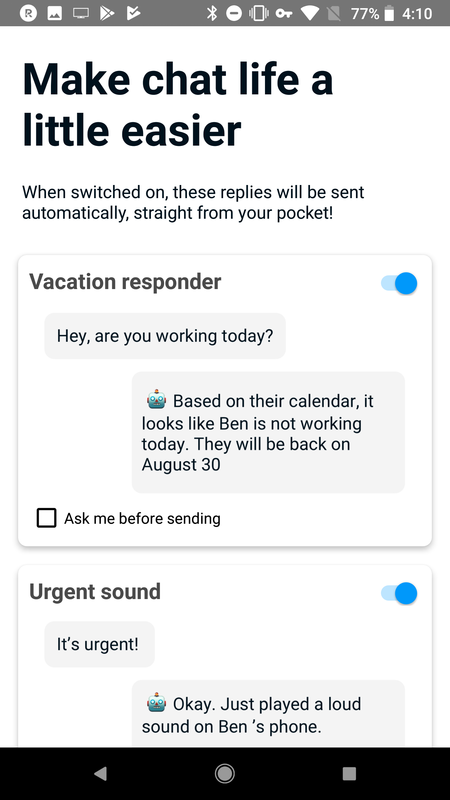 Reply's responses can vary in appearance a bit, manifesting as either one or three responses (the latter only in expanded notifications). 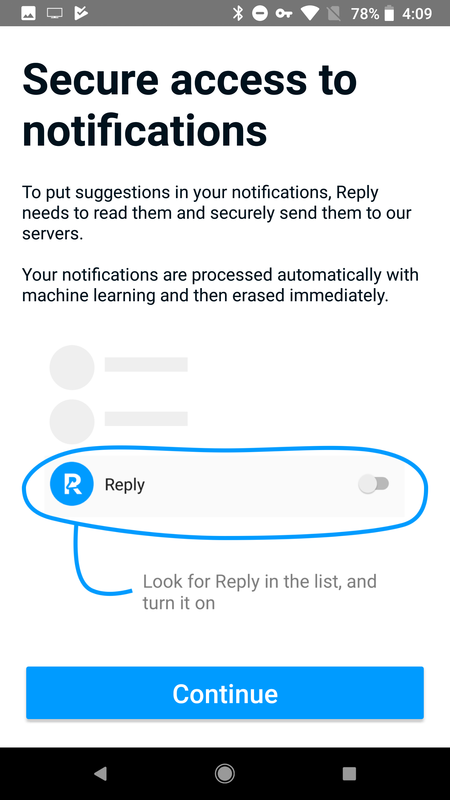 The automated replies cover a range of utility. Reply doesn't quite get jokes, for example, but that's understandable. Longer communiqués also seem to confuse it. It does better with short and straightforward messages—especially those containing simple questions. Note the expanded three responses above, and the one response below. The only issue I ran into was that some of the additional functionality didn't quite seem to work. 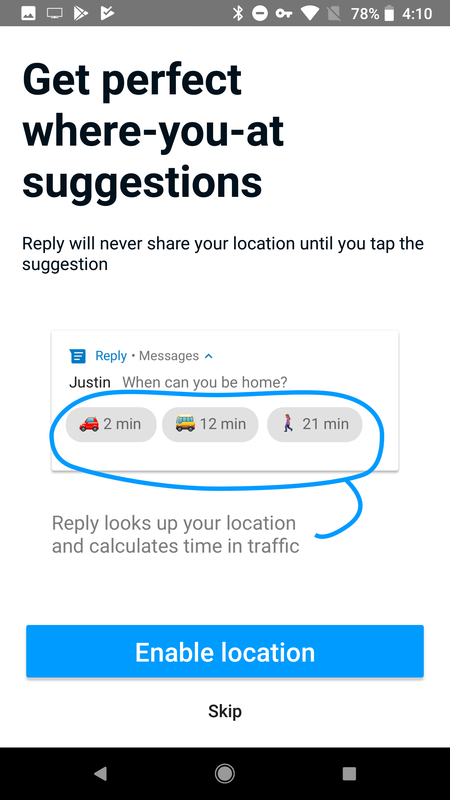 There are supposed to be responses that include contextual data for answers, like travel time to a location, but I couldn't trigger them. 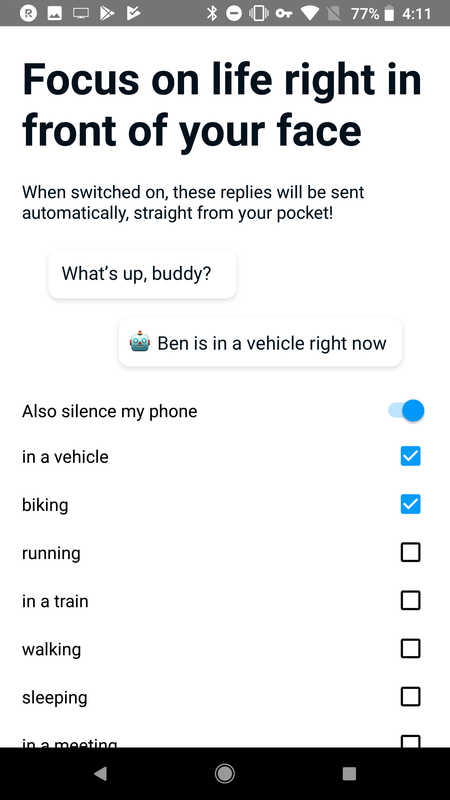 Also, certain message types in pre-configured circumstances are supposed to trigger entirely automated responses (denoted as such to the recipient via a robot emoji 烙), but that wasn't happening for me in my tests. 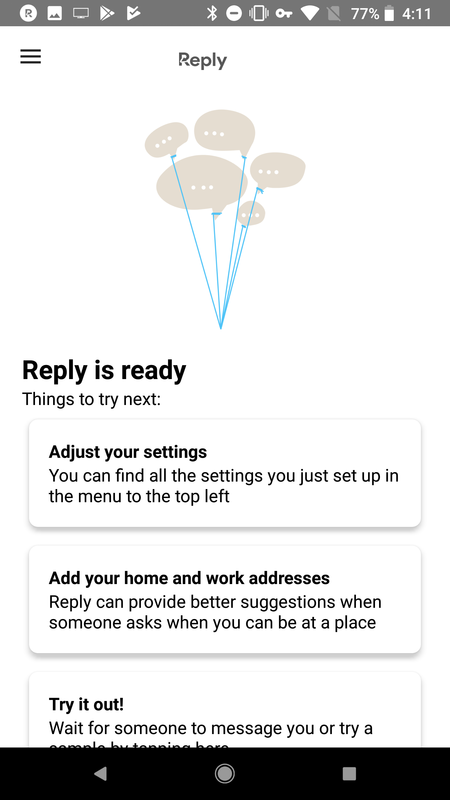 And, one of the settings implied that messages with the word "urgent" are supposed to bypass ringer settings, but that didn't work for me either. However, this is the first real release of the app, so it's not too surprising. A few of our readers have noticed that the app works in different languages, but the instructions during setup are still in English, so YMMV. Some of the Smart Replies generated in other languages, like French, may also be a bit strange. I'll keep the app installed over the next couple days, and if I notice any additional functionality, I'll be sure to update this article. 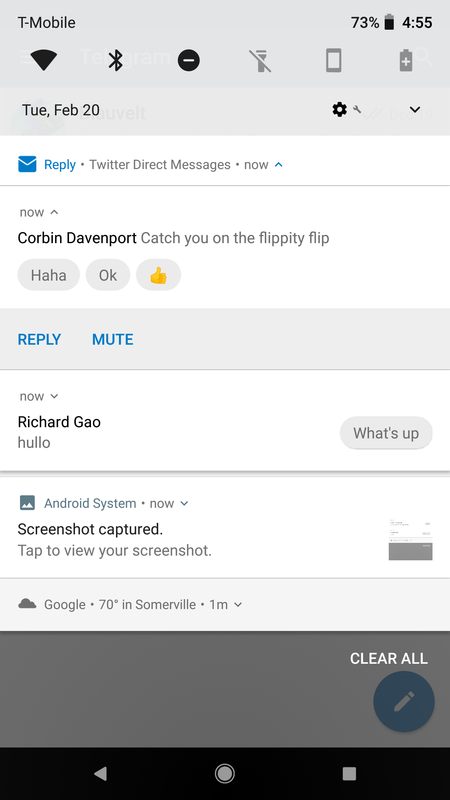 In the meantime, you can download and play with the magic of Reply yourself thanks to those really cool people over at APK Mirror.